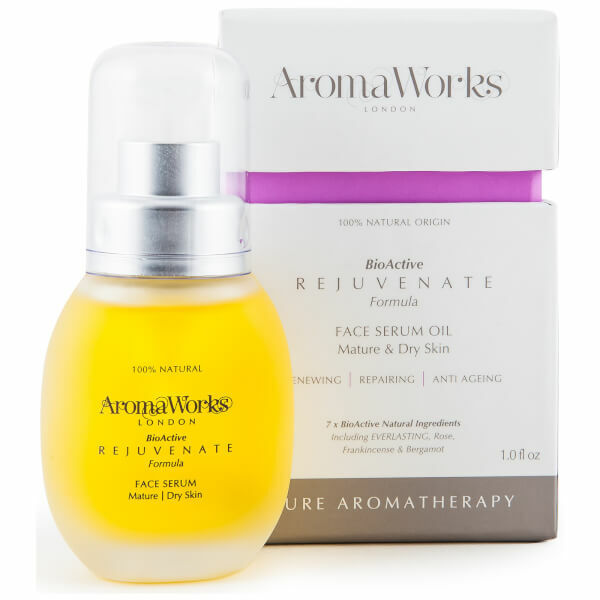 Awaken your complexion with the anti-ageing Rejuvenate Face Serum Oil from AromaWorks. Delivering a floral aroma, the luxurious oil designed to provide you with a more youthful looking complexion. The oil targets visible signs of ageing such as fine lines, wrinkles and any discolouration. Infused with Sea Buckthorn oil, Sandalwood and Neroli, the formula is able to reduce the appearance of these, whilst visibly plumping skin to deliver a younger look. 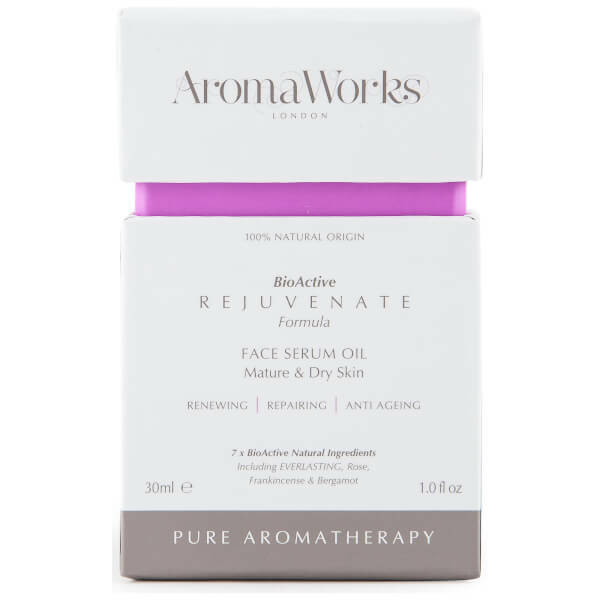 A nourishing blend of Coconut, Jojoba and Moringa oil also work harmoniously to moisturise the face and boost the complexion with Vitamin A and C. Skin is left visibly more radiant. Ideal for mature skin types. Apply a small amount to the face and neck before using Nourish Day Cream.